STC wrote: It doesn't matter which type of sensor used - VR, Hall, Optical. The configuration of trigger wheel is important. Trigger wheel shown on the picture has 2 sequences of 12-1 teeth and 1 gap for determination of 1-st cylinder for full sequential operation (2 sensors). SECU-3 firmware should work with mentioned trigger wheel, but note that SECU-3 Lite has only 2 ignition outputs and you can't use full sequential ignition on 4-cylinder engine. You can either use SECU-3 Lite in semi-sequential mode or switch to use SECU-3T if you want full sequential. For semi-sequential operation one sensor is enough (reading of 12-1 sequences). 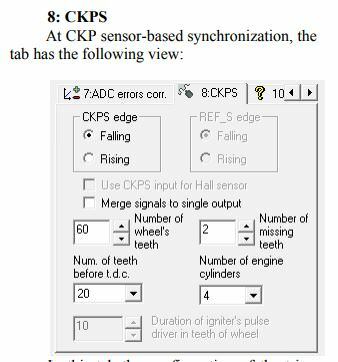 So, if I'm following you correctly, I could use it in a wasted spark configuration with coilpack, but not in COP (coil on plug) configuration? Thanks again for your prompt help. Hello again! I have another question. With the given 24-1-1 (12-1) trigger wheel for Nissan CAS, how would you set it up in Manager? If I got it correctly, lowest possible setting is 16 teeth. Could I use it as 24 teeth with 2 missing teeth? I'm sorry if I'm missing something obvious, but I'm novice at stand-alone EFI and ignition, so please bear with me. 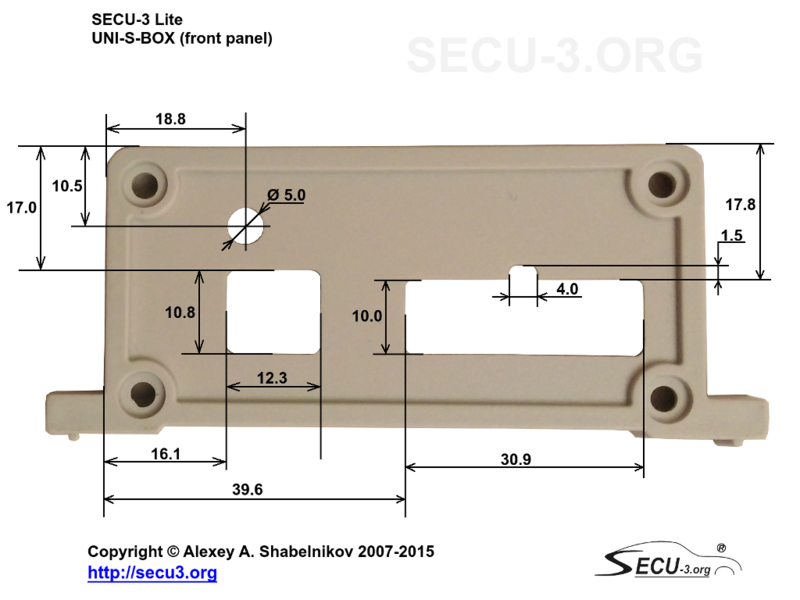 Sorry for that, I will publish SECU-3 Manager with ability to set less number of teeth soon. You will need to upgrade to v4.7 software. How urgently you need this? STC wrote: Sorry for that, I will publish SECU-3 Manager with ability to set less number of teeth soon. You will need to upgrade to v4.7 software. How urgently you need this? 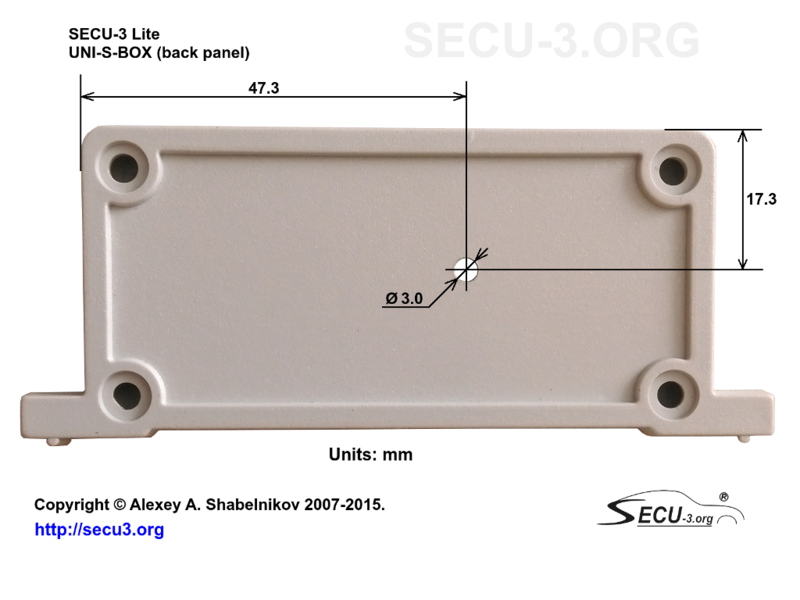 It is not urgent at all, as I don't own SECU-3 yet (forum user control panel would not let me choose that I don't have SECU-3), and I'm only just at the beginning of my project, collecting info. But I definitely plan to buy it, because it would be ideal for my application (under the condition that I can make it work with Nissan CAS). If you don't mind, I also have a question about using MAP and TPS. Is it possible to use TPS only for load input, or MAP has to be used always? I choose FW secu3t_m644_rev09_hall_dwell and in CKPS sensor choose 8cylinders, but what to put to hall sensor interupter window width? also 30 degrees? -what would you recommend for basic timing of ditributor, if I would like to use advance up to 30 degrees, than distributor has to be statically adjusted to 30 degrees before TDC? - in your answer from December you mentioned resistor R32, how can I investigate sensor sensitivity, only by measurement of its coil resistance? Just set "interrupter window width" parameter to 60 degr. Ensure that there are no zero values in your cranking ignition map (change zeros to some non-zero values, e.g. 0.5). Also, you need to set correct initial advance (rotating distributor). Stroboscope may be required, because you can not set initial advance statically with high precision. You can not investigate sensor sensitivity by measuring sensor's resistance. Try without changes to R32, if result will be not stable, then try to change R32 to 100k.